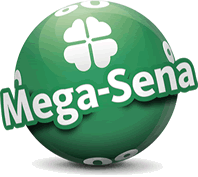 In this guide we provide information about Brazil’s Mega Sena lottery game as well as provide links to licensed and regulated online lottery retailers who allow you to pick Mega Sena numbers online directly from your PC, laptop, tablet or smarthpone. It is no longer necessary to be in Brazil to purchase tickets to the Mega Sena lottery which is one of that country’s most popular. Thanks to the power of the World Wide Web and recently changed legislation governing online lottery ticket purchasing, players may take advantages of the convenience of online access to lottery ticket purchases. Just imagine if you will what it would be like to break the current record 64.9 million Brazilian real ($35 million) jackpot record that was recorded way back in 1999. When you buy Mega Sena tickets online, you have a chance to do just that. But before you pick your numbers for a chance to be the next millionaire in Brazil’s most popular lottery, you have to follow one of the links provided below which takes you to a licensed online lottery retailer. Don’t worry, the next section will tell you exactly what you have to do to have access to one of South America’s largest lotteries, without leaving your comfortable couch or relaxing recliner. Playing Mega Sena online provides options for making single purchases or utilizing their subscription service which will automatically buy tickets for a number of draws in the future that you select. Played exactly like purchasing tickets in a physical Brazilian lottery outlet, you select six numbers from a range of 1 to 60, picking your own numbers or using the Quick Pick option. You can play on Wednesday and Saturday of each week, and prizes are awarded if you hit 4, 5 or all 6 of the winning numbers drawn. There is no doubt that taking a trip to Brazil would be an incredibly fun in the sun vacation, but when you know how to play Mega Sena online, you can purchase tickets any time night or day, from any Internet connection, and from anywhere in the world, without taking a trip to South America. And playing Mega Sena online means you have access to a national lottery that pays out a whopping 73% of all ticket purchasing proceeds. That is far and away one of the largest payout percentages in the world, with 35% of proceeds going to the MegaSena jackpot, and 19% each allotted to players who match 4 or 5 numbers. To play online, just follow one of the links provided on this page to a licensed and regulated online lottery retailer, pick your lucky numbers, pay for your purchase and get ready to be the next big Brazilian millionaire. For your convenience, we have also provided an instant play option below. As soon as the Mega Sena results are drawn and verified, you can access the results through the official Mega Sena website. There you will find certified winning numbers that are completely up to date and accurate.